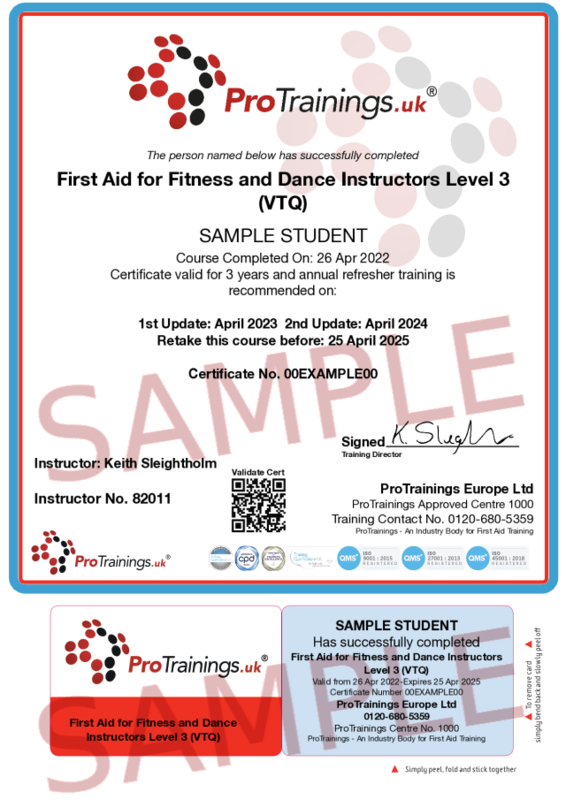 This First Aid course is aimed at anyone who teaches or assists in the instruction of fitness/exercise and dancing. The course is adapted to the sorts of injuries and illness that you are likely to come across. The course is also ideal for any students in this sector. Whether you are an active trainer or involved in this sector this course is ideal.